For most people, when they hear the term “cryptocurrency,” the first thing that comes to mind is Bitcoin or even Dogecoin. While there is no denying that Bitcoin is perhaps the most popular and mainstream type of digital currency, Ethereum has recently emerged on the scene as one of the newest. Despite its newcomer status, Ethereum is already used by millions, and the number of people learning about this type of currency is growing by the day. With all of this being said, to think of Ethereum in the same way that you think of Bitcoin would be wrong, because Ethereum is more than just a digital currency. In the following few sections we will elaborate on what makes Ethereum what it is, how you can make use of it, and why it is becoming so popular. The value of ether is something that has fluctuated quite a bit since the currency was introduced. In the early years, Ethereum was not very valuable – and not many people knew about it. 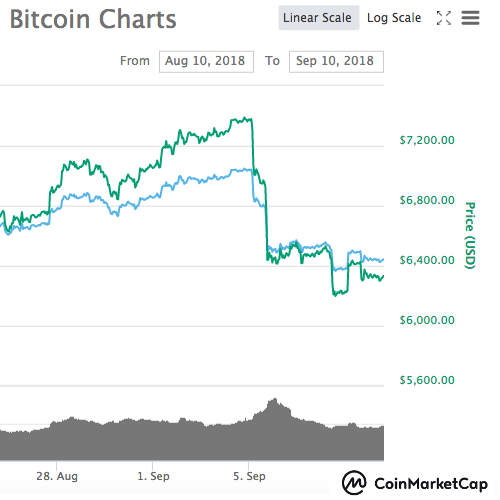 In much the same way that Bitcoin was back in 2011 and 2012, ether features massive price changes that you wouldn’t expect to see from traditional currencies. In the early parts of 2017 the price of ether skyrocketed due to a number of factors – including but not limited to: market conditions, a growing userbase, and greater mainstream awareness of cryptocurrencies. Even then, after the value approached all-time highs nearing $400 USD, the value featured a lot of volatility. The hope is that, over time, the value of ether will crawl upwards as more and more people learn about Ethereum and how it can benefit them. 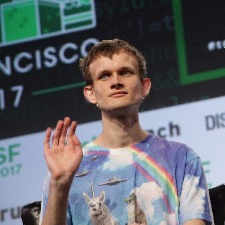 Ethereum was only founded in the middle of 2015, so the network is still quite young. Today, there is a circulating supply of 95,776,652 ETH coins and Ethereum is the second biggest cryptocurrency next to Bitcoin. In order to fully explain how Ethereum works, we need to speak in terms of Bitcoin to some degree. The reasoning behind this is because both Ethereum and Bitcoin operate by way of a blockchain. Like Bitcoin, Ethereum’s blockchain lists and records every transaction that has ever taken place. Apart from the basic use of a blockchain, however, Ethereum and Bitcoin are very different. When people describe Ethereum, you will often hear the term “world computer” used. The reason for this is because the Ethereum network is comprised of the computing power provided by all of those that desire to be a part of the network. By providing computing power, those folks are rewarded. In terms of how you use Etherum and what it is used for, that much is up for debate and can be described in a number of different ways. While Bitcoin works to dismantle the traditional banking industry of the world, Ethereum works to dismantle the way data and information is stored and exchanged online. Right now, at this very moment, all of the passwords, usernames, profiles, and anything else you consider to be “personal information” is actually sitting on a computer that you do not have access to. Though the password for your bank account is indeed yours, the information that validates that password is being stored on a server utilized by your bank. In exchange for holding your (and all other customers’) personal information, your bank pays the servers. While this is all fine, and convenient for you, your information is susceptible as it is being stored on a server that can be hacked. Ethereum aims to provide the same service of a traditional server, only in a decentralized way. In essence, in the Ethereum world, your personal banking information will be stored on the Ethereum network, which is comprised of thousands and thousands of computers, rather than one central computer. Another major difference is related to block time. Ethereum’s block time is between 14 to 15 seconds. Compared to Bitcoin’s block time of 10 minutes, Ethereum is exponentially faster. This means that Ethereum has the capability to process around 20 transactions per second. The Ethereum network is comprised of all sorts of different programs that can and do work in the same way as programs you will find on the traditional web today. Google Docs, for example, can store all of your information on their servers. While this is nice, the information stored within your Google account is susceptible to being taken by hackers. Alternatively, if Google were to suddenly cease operations, you would lose access to whatever was on Google Docs. With Ethereum, a program exactly like Google Docs can exist, only instead of the info being stored on one Google server, it is stored within the Ethereum network, consisting of thousands of computers and encrypted in a way that makes it impossible for any single entity to control your info. You are the only person who has power over the information. Within Ethereum there is a currency that exists and is a lot like Bitcoin, and in this way it is like a cryptocurrency, but in reality it does so much more than provide financial services. So while Ethereum (ether) can be exactly like Bitcoin (can be bought, sold, traded, etc. ), it is so much more than money alone. The Bitcoin network is strictly financial while Ethereum is a financial network and so much more. If you are talking about acquiring Ethereum, you are really speaking incorrectly. Ethereum is the network, and Ether is the currency that lives within Ethereum and allows exchanges to take place. In order to acquire ether, this is something that can be done in much the same way as you acquire Bitcoin. Before you can acquire ether, you must first establish a place where you will store it. This is known as a wallet. Ethereum wallets are, in many ways, exactly like the online bank accounts millions of people use on a daily basis. A wallet is the place online where your ether will be stored. Once you have signed up for a wallet (of which there are many), you can buy ether just like you would buy Bitcoin. Of course, it is easiest to use USD, but ether can be purchased with just about any currency. USD is the currency of choice more often than not because there is a larger incidence of people looking to trade ether for USD than there are people looking to exchange ether for any other type of currency. Wallets are not created equally, so some research is required to find the wallet that suits your needs best. When it comes down to it, the differences between the different wallets have to do with the security provided. The security provided will come with fees, so it is generally accepted that the wallets with the higher fees also have the highest levels of security. Storing your ether in an online wallet is fine, and many people do it, but your Ethereum wallet is just as susceptible to hacking as your online bank account or PayPal account. As such, you can also store your ether in vaults or external devices. These devices literally take your digital currency, unplug them from the internet, and store them in such a way that it is virtually impossible to hack. Naturally, storing your Ethereum on an external device comes with a higher fee. At the same time, it’s also the most effective way to store your wealth securely. Just like keeping gold and other valuable assets in a locked vault is better than letting it sit out in the open, keeping Ethereum in a vault is safer than keeping it in something like an online wallet. Because all transactions that take place on the Ethereum network are encrypted, they are inherently private. This means that while anyone can see me sending someone else ether, they will only know the amount that has been exchanged and not the names of those involved in the exchange. This is one of the reasons why people love ether and other cryptocurrencies. It provides an element of anonymity that is presently unmatched by any sort of service today. Once again, this goes back to Ethereum consisting of millions of different computers rather than one central server. The instance where your privacy might be compromised has to do more with the wallets you use than anything else. In order to sign up for most wallets, you need to provide some sort of personal information. 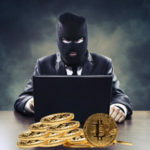 Because you are providing this personal information, coupled with the fact that wallets are susceptible to hacking, there is a chance your personal information can fall into the wrong hands. This rarely happens, but is possible. If you hear of an Ethereum exchange, you are really just hearing about the medium that allows people to buy and sell ether. In most cases, exchanges also feature wallets. Ethereum exchanges bring people together online and allow them to transact ether. Those wishing to acquire ether will trade in USD for the cryptocurrency, while those looking to cash out will trade their cryptocurrency holdings for USD (or any other currency). There are typically fees charged for using exchanges, however the fees vary from site to site. In terms of your ability to turn ether into cash, this is something that can be done quite easily through an exchange. If you have ether that you would like to sell, all you have to do is navigate to your preferred exchange, and attempt a sell. You will then automatically be matched up with someone who is looking to buy ether with the currency you are attempting to acquire. A few minutes later, your cryptocurrency will have been quickly and easily turned into traditional fiat currencies such as USD, CAD, and EUR. The Ethereum network is also complete with apps that can help you purchase goods and services. So, in addition to turning ether into cash, you can also use it to purchase consumer goods and even online services, such as legal services or other contract work.